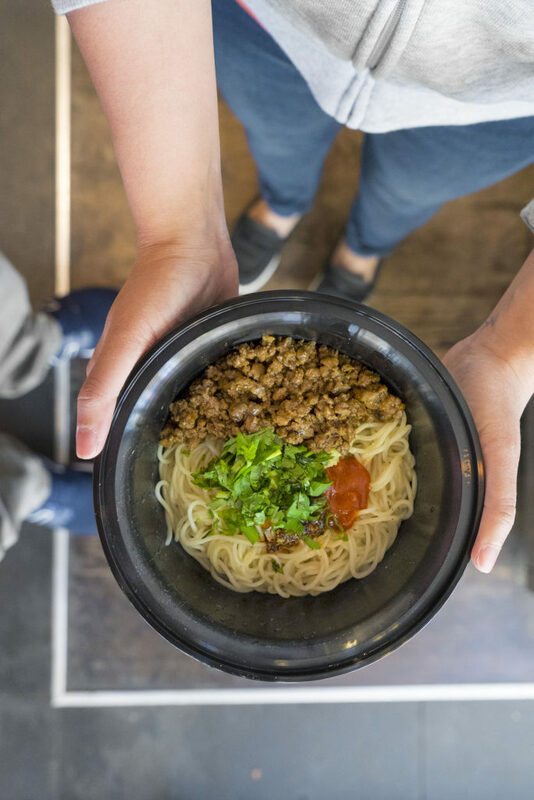 This shop serves up some pretty nice bowls of noodles and soup. I came in to take some Instagram photos and tried two. 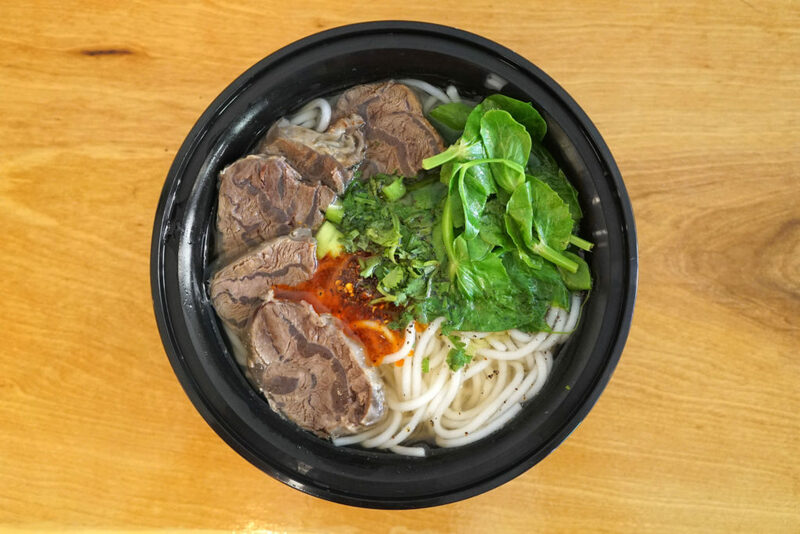 Ultra-tender beef, nice fresh greens and herbs, and well cooked noodles. 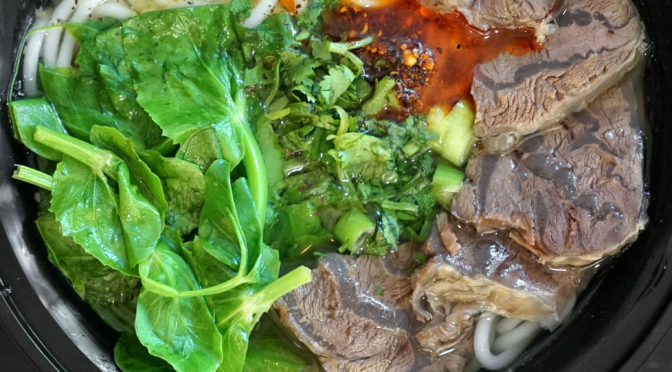 I don’t know what cut of beef this is, but it seems to be common among Chinese noodle shops. 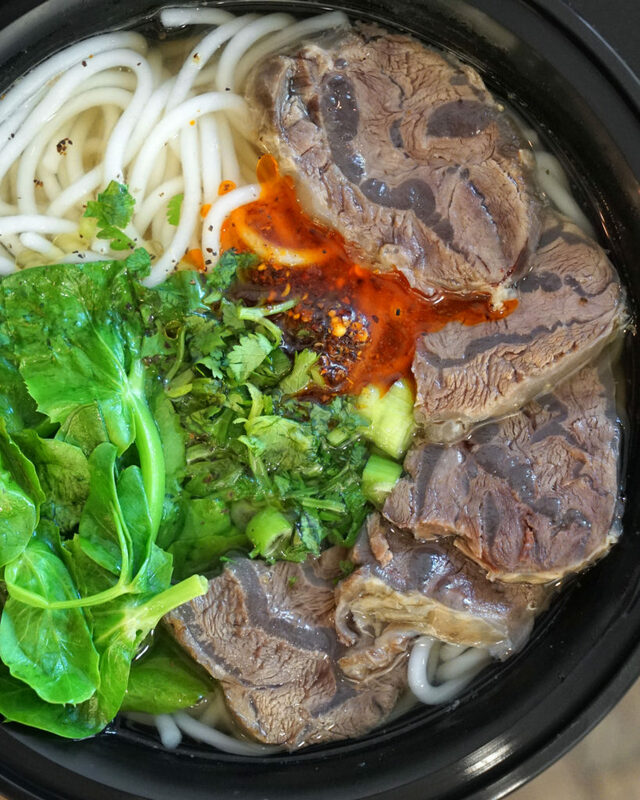 When it’s cooked slow, stewed and sliced like this, it gets incredibly tender. That stuff that looks like fat or gristle is really soft and deliciously gelatinous. 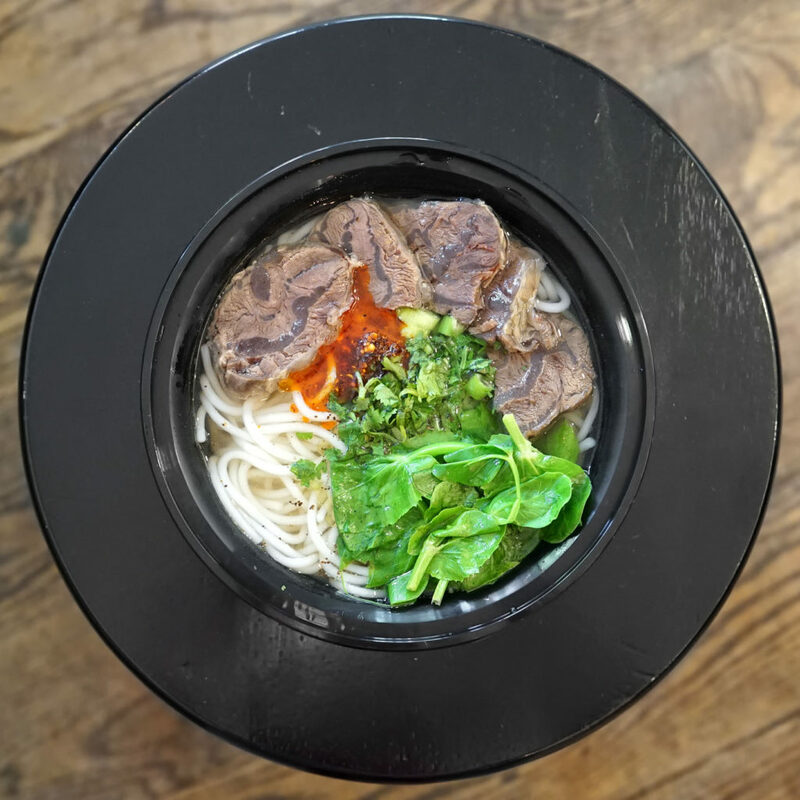 This is not a soup style noodle dish. 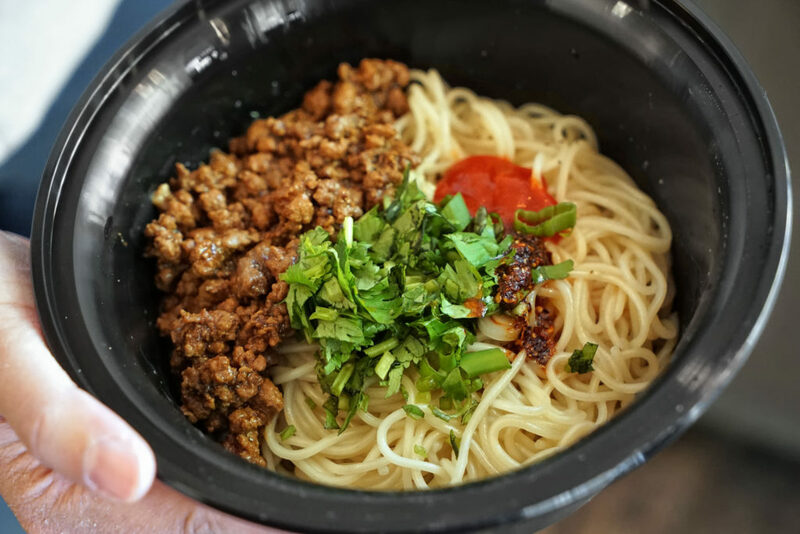 It had a nice spice level to it from the chili paste, and the ground pork was super flavorful. This was my favorite of the two. Everything here is served to-go style, though there are some countertop seats available. Give this place a shot. I know I’ll be back to try some new menu items. And each item I had was under $10, so it’s a great bargain.